Atmo-man is a hero who will stop at nothing to prove that his cause is important, for after all it’s the environment that he is trying to save from polluting villains. 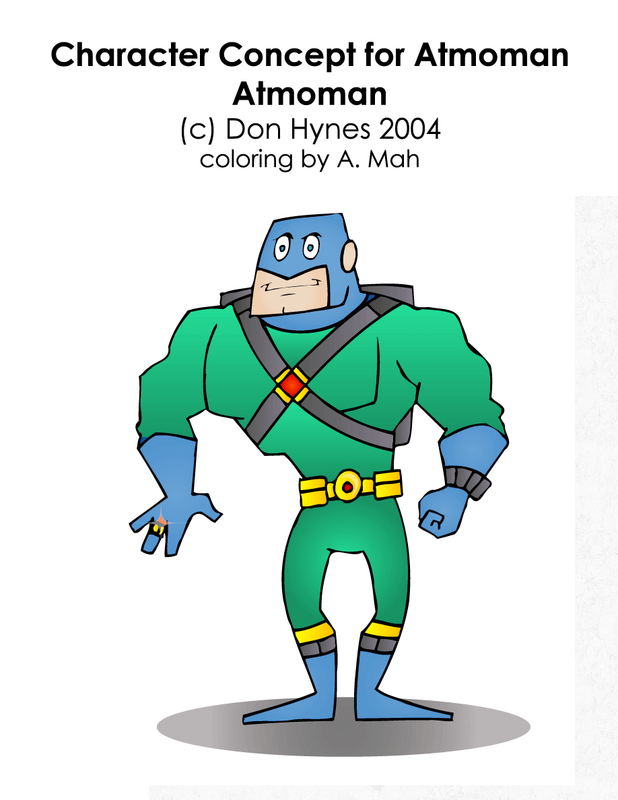 Atmo-man has a habit of attracting the most unsuitable sidekicks for crime fighting, who though they may be rejects from mainstream crime fighting, they are the most pure of heart with a firm conviction that they must do whatever is necessary to help save the environment. From heroes such as The Compost, to Metal Woman, Recyclable Dog, Plastic Boy, and Paper Mache Man,…Atmo-man has an inexperienced but good hearted Super Team, who somehow in the end accomplish what they have set out to do. SAVE THE WORLD. 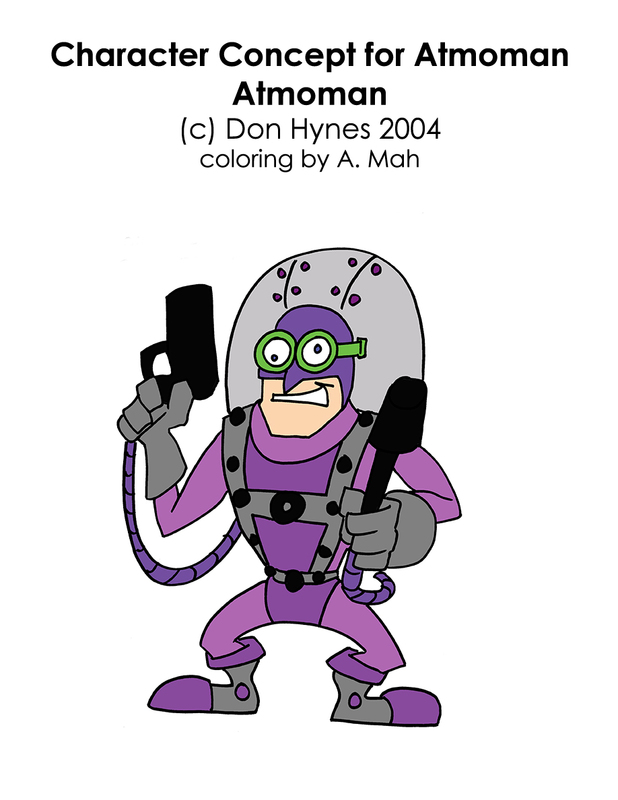 Armed with a humongous cache of wonderful gadgets, from his Power Evergreen Ring, Smog Filtering - Utility and Solar Power Booster Rocket Back Pack to all sorts of pollution and crime fighting gear, Atmo-man is ready for practically anything. The world is full of villains like Smogman, Oil Spill, Toxic Waste, Litter Bug, and Corporate Greedy Fat Cat, who want to destroy the environment and wreak havoc on the atmosphere. These villains travel the world over and when one of them happens to appear in or around ‘Big City’, then Atmo-man has to step in. Atmo-man and his Super Team operate from a control centre and monitor these evil doers of the planet, keeping an eye out for any devastation that may be coming their way.